Xocai Chocolate – The Dark Truth Of Xocai Healthy Chocolate! 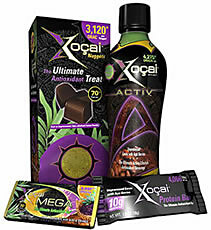 Xocai has several healthy chocolate products ranging from, solid chocolate, beverages, weight loss shakes, and an energy drink. All of which are touted as Antioxidant packed. Brunswick Labs, a leader in the industry for determining ORAC value does show extremely high antioxidant ORAC values in all Xocai chocolate products. MXI Corp. parent company of Xocai Healthy Chocolate is based in Reno NV and follows the MLM business model. MXI Corporation founders are Jeanette L. Brooks, founder and CEO and Andrew N. Brooks, Founder and COO. Mr. Brooks has a Masters in Business Administration as well as Spanish. 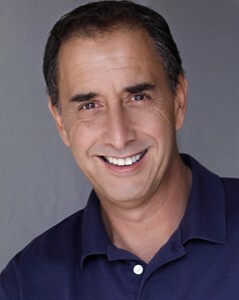 His goal has been to produce healthy products for weight loss and people with diabetes. One would think that a healthy chocolate company business would be easy to sell because just about everybody loves chocolate. There are 8 ways to earn income with Xocai chocolate and the Distributor fee is only $39.00 This enrollment fee is viewed as a “Club Membership” and entitles you to purchase product at Wholesale prices. Included is an Xocai Distributors Associate Training Kit and access to the MXI Back Office for 1 year. The 8 ways to earn consist of: Retail Bonus, Quick Check Bonus, X Bonus, Auto-Ship Credit Bonus, Infinity Bonus, $50 Infinity Bonus, Executive Generation Bonus, Leadership Bonus Pools. Lifestyle rewards such as vacations and car bonuses are also available. This hybrid-binary plan is becoming more of a standard in the MLM industry and companies like MonaVie have done very well by many of their distributors. Should You Join Xocai MXI Corp? That depends if you’re looking to become basically a wholesale distributor. You are not required to do a personal monthly auto-ship but if you want to receive all the benefits of the compensation plan then you are required to purchase a minimum 100 PV (personal volume) each month. Binary compensation plans only payout on the weakest leg and require you to balance both sides of your “tree” in order to maximize the comp plan. Difficult at best. Which is why they are not my favorite type comp plan. From what I can tell, you can build unlimitedly wide and 7 generations down. There is more to the comp plan and it does get confusing, but this is an overview. The retail bonus allows you to make up to a $40 dollar profit. As explained by the company, you purchase at wholesale, 1 case, your cost, $110, suggested retail price, $150 leaving a $40 dollar profit. That’s a lot of healthy dark chocolate to sell every month in my opinion. But, one of the biggest problems with any MLM is having enough people to share your opportunity with after you’ve gone through your warm market. If You’ve Been Struggling To Build Your Xocai Business and Want More Leads and to Sign Up More Reps, Click Here to Learn How To Generate Leads Starting Today! Please don’t forget to share this video with your friends on Google+, Facebook and Twitter. I would love it if you would leave me a comment below with your thoughts on this Xocai Chocolate review.